Kaag Tihar is the first day of Tihar Festival. On this day people worship crow and feed them on belief that it is a messenger of good news and fortune. Crows are very intelligent bird and often mentioned in myths and legends as magical birds. 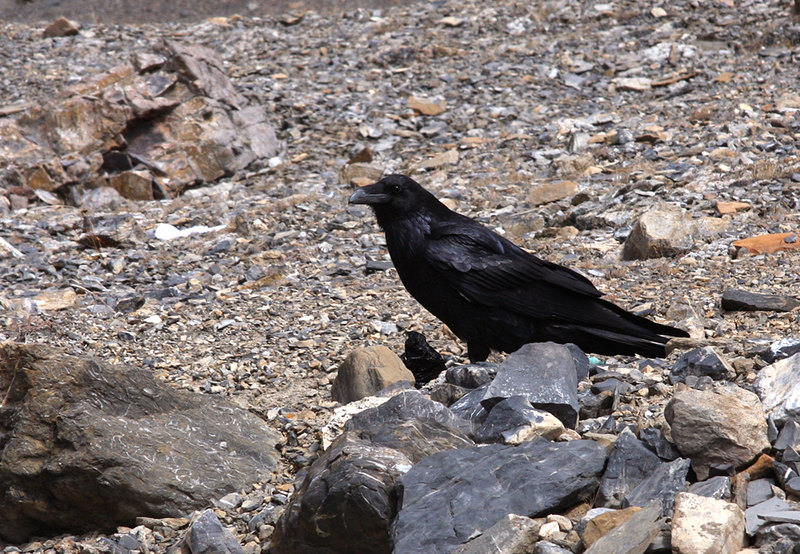 Saw this bold Raven scavenging for food on the way to Muktinath from Thorang La Pass. Raven belongs to Crow family and there are about 100 species of Crows around the world.